And he accused the new station - Absolute Radio 60s -of stoking up the furore as a blatant publicity "scam". 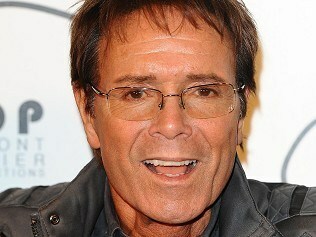 The service said Sir Cliff's music was not "cool" enough and was banned from the airwaves. Gerry And The Pacemakers - who were chart-topping contemporaries of The Beatles in their early days - are also among the bands deemed unsuitable for play. But the singer said if the station proved to be popular, it will owe the success to him for raising its profile. Speaking on ITV1's Loose Women show, 71-year-old Sir Cliff said: "I think it's a great scam, don't you think it's a scam? "In a funny strange way they're using me to advertise their station. And I hope they are going to be really successful because then I can say 'Could they have ever done it without me?' and the answer is probably 'No'." On Tuesday he told the Press Association the station was "lying to the public" by trying to erase his contribution to pop and rock music. But Absolute presenter Pete Mitchell justified the ban by saying: "His songs don't fit the cool sound of the swinging sixties we're trying to create on our new station. "We believe timeless acts of the decade that remain relevant today are The Beatles, The Stones, The Doors and The Who, not Sir Cliff."